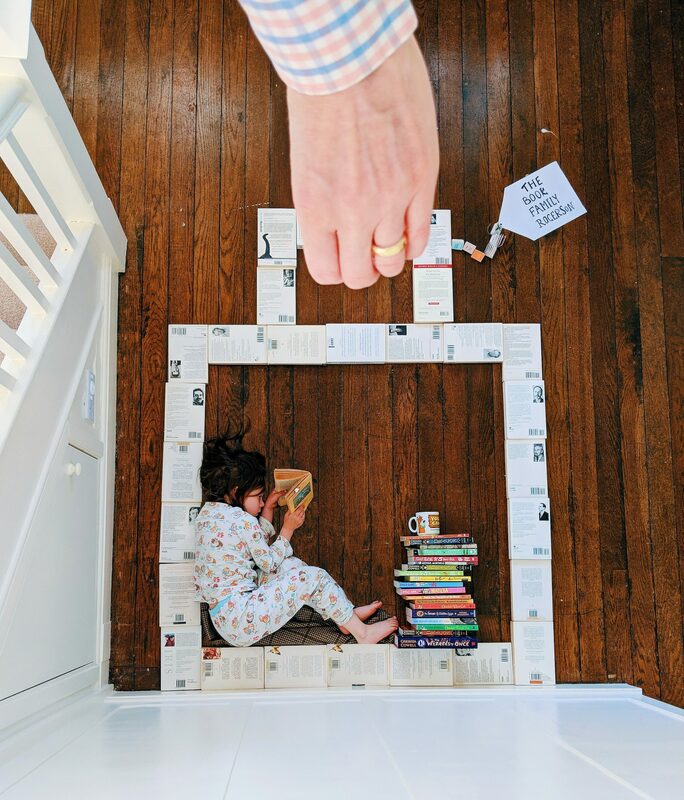 As a bookish family, we like to tie a reading connection into our holidays where possible and love visiting the haunts of famous authors. Here are our 8 dream literary destinations. This German trail winds through the landmark places that inspired the Brothers Grimm to write their fairy tales (while staying in stunning castles and palaces). We’d really like to do this while Martha is still young enough to believe in all the stories. We’ve visited Greenway, Agatha Christie’s holiday home (now owned by the National Trust) for the day, but it would be amazing to stay over in one of the holiday cottages in the grounds. Aside from the obvious literary connections, the estate is lovely with beautiful gardens, trails and a boathouse. Yes you can stay here! Allegedly the inspiration for Daphne Du Maurier’s famous novel, this small cottage is run by the Landmark Trust and is available to rent. First dibs on the treasure! Another Landmark Trust property – this time in the centre of Rome overlooking the Spanish Steps. Keats died on the floor below and this gorgeous rental apartment is identical in layout so he would have looked out on almost the same views as he composed his poems. Pure inspiration. OK so this one is real lottery winner goals stuff! The GoldenEye resort in Jamaica is most famous for being the spot where Ian Fleming created James Bond but it’s also inspired lots of other creatives. You can choose to stay in cottages, beach huts or lagoon villas – each in private grounds (we’re not fussy btw). We fell in love with Kardamyli when we visited three years ago. Travel writer Patrick Leigh Fermor chose to settle there after decades of wandering and it’s obvious why. Sandwiched between the mountains and the sea, this pretty town is full of treasures including the supposed tombs of Castor and Pollux and a fortified settlement. Many writers visited Leigh Fermor during his time here and Bruce Chatwin’s ashes were scattered above one of the chapels on the hillside. We’re hoping to return in 2019 when the Leigh Fermor house will be open for tours. Anyone up for a retreat? Gladstone’s Library is the UK’s only residential library and if you stay over, you will have the freedom to explore a collection of almost 150,000 printed items. If I have one wish this year, it’s to stay here for one night. * Done! We stayed at Gladstone’s Library in September 2018. It’s said that Eilean Shona inspired J.M. Barrie to write Peter Pan and you can still rent a cottage on this tiny, car-free Scottish island. Here’s a list of the activities taken from the website – ‘building camp fires, crabbing, swimming, painting, picnicking, kayaking, nature watching, photography and walking’ – we’re in! I’m sure that there are many that we’ve missed here so please share your recommendations or wishlists with us so we can bookmark them for the future! These places must be so full of inspiration – let’s hope we can visit a few!